I have to say BetOnline has excellent customer service. I used to bet at Bodog, but had to wait as long as 30 days to receive a cash out. With BetOnline my first cash out was received in 8 days, they do require a $75 minimum to request a cash out (which is a little high for me), but after 4 successful cash outs so far I think I will be staying. 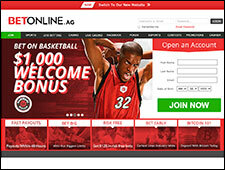 Write a Bet Online Review and share your thoughts with other players.